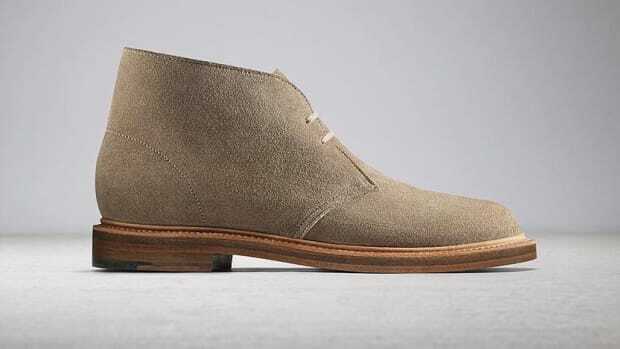 This year, Clarks brings the Desert Boot&apos;s construction back to England in a limited run of boots for their Made in England pack. 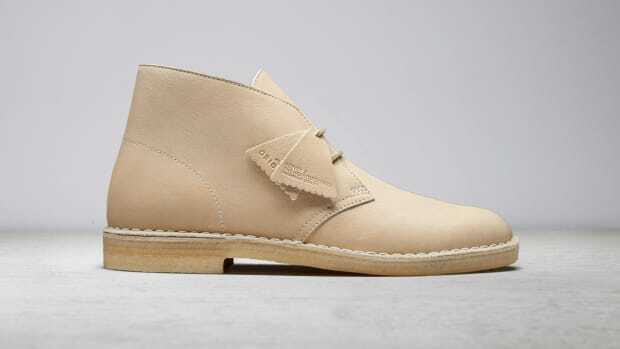 The pack celebrates 65 years of Nathan Clarks&apos; iconic design which was originally released 1950. 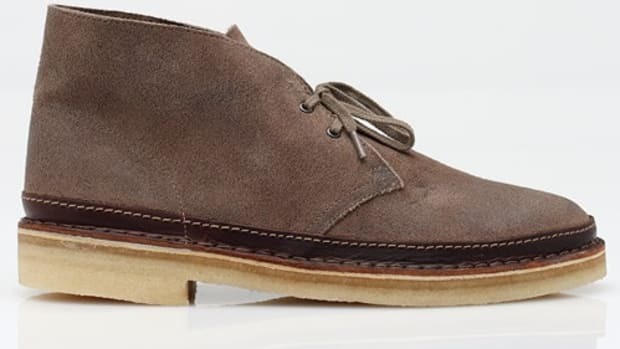 The boot will feature the original Cordova Velour 2mm suede sourced from Charles F Stead and it will also have the orange stitch down detailing. 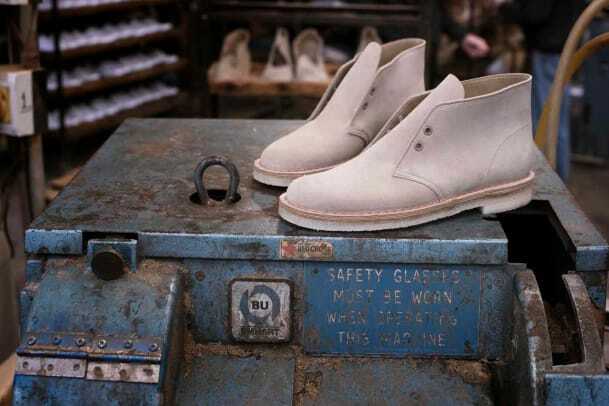 As much as we wish every pair of Desert Boots were made in England, only 1,950 pairs of the shoe will be released this year and each will be individually hand-numbered. Each of the limited edition packs will have a special set that includes artwork from Peter O&apos;Toole, socks from TRiCKETT, and a suede cleaner. The new model gets a Goodyear welt.